Any Pixar fan could tell you how much The Good Dinosaur has changed in its development. The film teased at the Disney D23 Expo 2013 played up the unique agricultural roles that different species of dinosaurs would play in this alternate-universe of prehistory; the movie presented at the D23 Expo 2015 was an “emotional” road movie about a dinosaur and his boy. Ever the late bloomer, Arlo struggles to find his place among his more naturally talented brother and sister. In one of the warmest father-son relationships in Pixar canon, Poppa takes Arlo aside to help him make his mark – by catching a pest who’s been eating their crop. In the process, however, tragedy strikes and Arlo finds himself separated from his family and lost. He reluctantly finds a companion in the human boy he names Spot; Spot is the fearless defender and catalyst Arlo needs to move on through a hopeless situation. The pair journey through a series of familiar western images, transplanted to a prehistoric setting: a spiritual Shaman in the form of a Styracosaurus; outlaw bandits represented as Pterodactyls; even a family of tough Tyrannosaurus Rex ranchers. These western narrative elements complement the western themes of the individual, separated from the home, journeying through the frontier onto his horizon. The western genre is further defined through its musical score, featuring uptempo fiddles, acoustic guitars, and (when the mood strikes) sweeping orchestras. The Good Dinosaur has one very anti-western (and even anti-Pixar) element: so many Pixar films feature strong, cocky male heroes – Woody, Lightning McQueen, Sulley, to name a few. Arlo is the antithesis of this legacy; he is a frightened, vulnerable boy forced to battle the dangerous world around him. He is not the silent, sturdy western hero to instill order; Arlo is struggling to just survive and return home. But The Good Dinosaur is more than a clever, somewhat inverted, western for families; in what is undoubtedly Pixar’s most emotional year on record, this film is rich with moving storytelling and heartbreaking scenes. The tragic elements anchor the entire film, heightening the sense of desperation and struggle to endure; the devastating “sticks” scene is just one of many sure-to-be iconic moments of The Good Dinosaur. This complex love story will certainly “make its mark” within the already-stellar Pixar canon. Hope you all had a happy Thanksgiving (and Black Friday) week! I did a bit of traveling and got to enjoy some lazy movie time with the family last night. Trainwreck (2015) – Amy Schumer gives a strong performance in this very raunchy romantic comedy about a woman struggling in a serious relationship. We get some funny moments (especially from LeBron James) but the narrative mostly falls flat. NOT RECOMMENDED. Three Coins in the Fountain (1954) – Laughably out-of-touch romance about three American women in Italy looking for husbands. RECOMMENDED. On the Town (1949) – Insane musical comedy about three American sailors who have 24 hours in New York to see the sights and fall in love. Hi-jinks and several lousy songs ensue. NOT RECOMMENDED. To be honest, I found On the Town mostly hard to watch. It was fun to see Ann Miller in her prime, Vera-Ellen in something that’s not White Christmas (which I’ve probably seen around 50 times), and some of the sets are superbly constructed (particularly from the top of the Empire State Building). What kept me going was the bizarre sexuality of, frankly, all the characters. I expected a squeaky-clean musical where everyone waited til marriage, but in this postwar vision of New York, even 24 hours is too long. The story is: three sailors (Gabey, Chip, and Ozzie) have 24-hour shore leave in New York. In their initial hours they buzz around to several key sights, like the Statue of Liberty and Central Park. On their first subway ride, Gabey notices a poster for “Ms. Turnstiles,” prompting a lengthy fantasy dance sequence. She is the perfect woman: a dancer, an artist, a fighter, a homemaker. Smitten, he decides he must meet her with his little time left in New York. He crosses paths with her in a subway station, forces his gang to visit museums, galleries, theaters in search of her – and eventually hunts her down at her dance lessons. They make a date for that night. At the team’s first museum stop, Ozzie falls for Claire – an anthropologist who turned to her line of work to distract her from men. (Really.) She is intrigued by Ozzie as he resembles a “Prehistoric Man” (is that a compliment?) and sings a song about it. Along the way, the crew stops a taxi cab, driven by the “lady cab driver” (not “cab driver”) Hildy. She instantly falls for Chip, inviting him to “come back to [her] place.” Eventually, she and Chip do go to her place, but have to kick out her annoying roommate Lucy first. After that, the scene ends, leaving us to fill in the blanks (pun intended) as to what transpires. The hi-jinks of On the Town are so striking because they are for such immediate ends. Gabey, Chip, and Ozzie make it clear they have to leave within 24 hours. Ms. Turnstiles, Claire, and Hildy are under no illusions that their sailors will come back to them. Their sexual pursuits between sailor and patriot are portrayed more as civic duty to our servicemen – not a short-term deposit for a long-term relationship. Perhaps On the Town is a uniquely veiled salute to the Rosie the Riveters outside the factory. Three Coins in the Fountain begins with stunning shots of Rome – sweeping vistas of elaborate gardens, intimate corners of centuries-old palazzos, and the titular Trevi Fountain, believed to grant the wishes of those who visit it. All the beauty of Rome, however, isn’t a compelling enough reason to stay unless you’ve got a man. Three Coins in the Fountain is a bizarre, laughably out-of-touch story about three American women living together in Rome as secretaries – two for an American consulate, one for an English writer. Their worldly career paths are all for naught until they tie the knot! The youngest (and real catalyst of the story), Maria Williams, has just arrived in Rome. She moves into an apartment with the two other secretaries, Anita Hutchins and Miss Frances. Upon her arrival, the trio rush to the Trevi Fountain to make wishes – for Maria and Miss Frances, to stay in Rome one more year; Anita makes no wish, as she plans to leave to America to get married. Maria crosses paths with the handsome prince Dino, an eligible bachelor of questionable repute (known for his exploits with “Venice Girls”). Despite the warning signs, she is smitten by him and decides to frequent his local haunts, take notes on his likes & dislikes, and pretend to share his interests to win him over. Good plan, right? Anita Hutchins has already turned in her notice, under the guise that she is returning to America to get married. In reality, however, there is no fiancee waiting for her and she just needed a reason to say she’s leaving. Romance finds her though, in the form of an Italian colleague at her work – Georgio, played by Rossano Brazzi whom you may recognize from David Lean’s Summertime. Romantic pursuits between Americans and Italians are frowned upon in her office, however, and Anita’s employer even offers to pay for her to see a doctor in case she’s in a jam. (!) To make matters worse, Georgio is poor and can barely support even himself. Three Coins in the Fountain reminds me of Where the Boys Are – all-American girls, displaced from home, looking for husbands. Times have certainly changed since 1954, but it is bizarre, even for the time, how backwards some plot elements are. Perhaps it is a testament to the power of Trevi Fountain, and how far people will go to make their wish a reality. I have a very hard time watching, in good conscience, any non-horror movies during the month of October. And of course the Christmas season de facto starting on Black Friday (me? I start a little earlier), leaving only 3-4 weeks per year of true “fall,” unencumbered by other holidays. Dressed to Kill (1980). While this film doesn’t scream “FALL,” it certainly takes place during this time of year – as explicitly as seeing a personal calendar for November 1980. We also get snippets of this through the costume design, including memorable moments with a glove (pro tip: how to pick someone up at the art museum). And don’t forget to buy turkey! Harold and Maude (1971). Unlike Dressed to Kill, this movie does scream “FALL,” from its gorgeous oranges and tans to its acoustic guitar-driven soundtrack by Cat Stevens to more scarves than you can possibly imagine. I jokingly wrote last year that this is “the ultimate Pumpkin Spice Latte movie,” and that sentiment still rings true. Rushmore (1998). Wes Anderson’s second movie covers mostly the (literal and seasonal) fall of its protagonist, Max Fischer, as he adjusts to a new school and new adult figures in his life. It all culminates to a warm January as the pieces of his life come together. Silver Linings Playbook (2012). In this excellent film largely rooted in family, it is interesting how holidays take a back seat and are more incidental to the timeline. A “date” between Pat and Tiffany takes place on Halloween, a fateful night in which Tiffany agrees to help Pat contact his estranged wife, only to later leverage this into a bargain where he must join her in a couples dance competition. The following weeks, between Halloween and Christmas, solidify their unique relationship. What are your must-see fall movies? Reply in the Comments below! 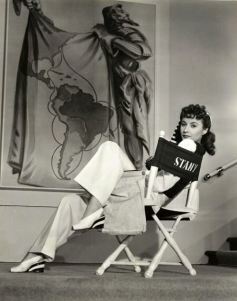 Check out The Remembering Barbara Stanwyck Blogathon – signups are still being accepted! Barbara Stanwyck is the most versatile actress to ever grace the silver screen. During the annals of her career, Barbara showcased her indelible talents in a pantheon of films of every genre imaginable, and succeeded on all levels. 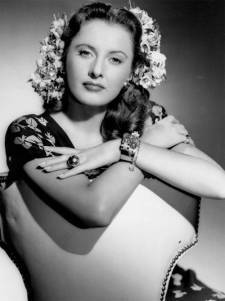 Sadly Barbara Stanwyck passed away on January 20th, 1990, at age 82. For many fans worldwide this is a day of mourning, but for a legion of others, it’s a time when we reminisce about how phenomenal Barbara Stanwyck was and pay tribute to Barbara and the myriad of achievements she made. 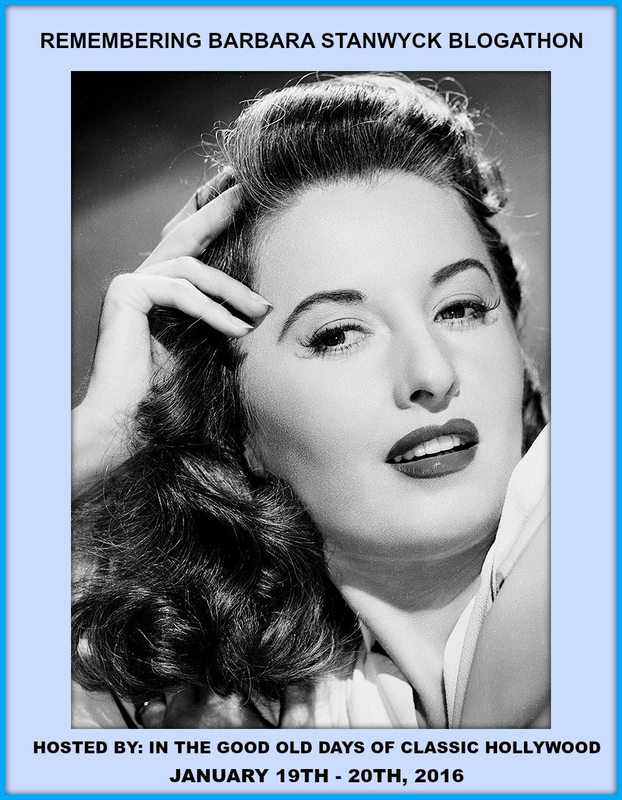 Barbara Stanwyck is my favorite actress of all time, and January 20th marks the 26th anniversary of her passing, so as a special remembrance to my favorite actress, I’ve decided to celebrate her legacy by hosting a blogathon in her honor. 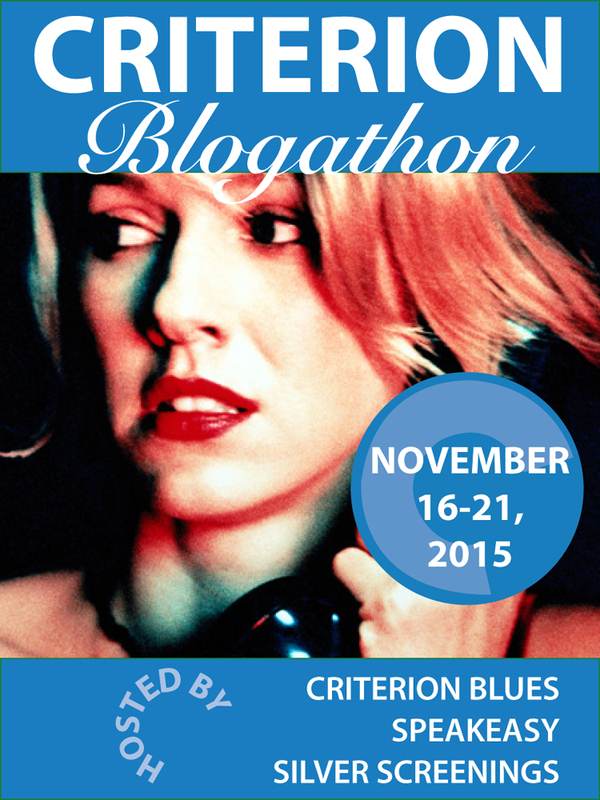 So excited to be part of the Classic Symbiotic Collaborations Blogathon hosted by CineMaven! This series of blogs focuses on the relationship between directors and their onscreen stars. I’ll be writing on Vincente Minnelli’s musical Meet Me in St. Louis, starring his would-be bride Judy Garland. 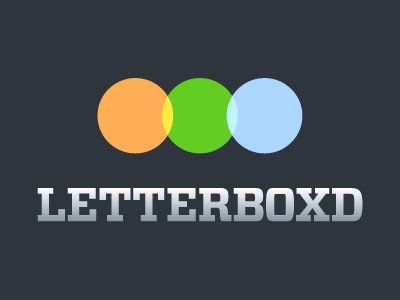 The Blogathon is still accepting signups, so be sure to comment on CineMaven’s announcement post to join! This essay is part of the superb collection of pieces in the Criterion Blogathon, hosted by Criterion Blues, Speakeasy, and Silver Screenings. Visit the full roster here for a multitude of insights, commentaries, and reviews on some of the finest in cinema history, by some of the best bloggers around! With Weekend (my introduction to Haigh), one of the initial draws was the strong musical soundtrack – I downloaded the two John Grant songs almost instantly, and gradually compiled as much of the (unofficial) soundtrack as I could. These songs have swirled in my mind over the past couple years and gradually brewed into the piece you are about to read. (And for the record, Looking has an excellent soundtrack as well!) The below piece is SPOILER-HEAVY so read with caution. Andrew Haigh’s Weekend exemplifies contemporary neorealism in several regards. One way is through its narrative structure: we follow the main protagonist Russell along every step of his journey – his solitary walks to the bars, his bike rides to work, even him putting on shoes. Each aspect of his life is documented and compiled as part of the experience we share with him. Even visually, this is further communicated through numerous wide shots rather than close-ups, imagery of of Russell in a broader landscape, like the Manchester buses and on his lifeguard station at work. His frequent, though authentically staged, isolation is communicated to us in nearly every scene without Glen. We not only see elements of neorealism, though; we also hear them. Weekend‘s sound design has a mostly atypical cinematic soundtrack to speak of – few”out-of-body,” omnipresent musical selections that only we, the viewer, can hear. The film opens with virtual silence as Russell gets ready to go out. The only sounds heard are the soft splashes of his bath, the crinkle of his shoebox lining, the tick of his lighter. Not only does this instantly convey a sense of realism (which will permeate throughout the film through the aforementioned elements), but it also conditions our senses to take notice when music does happen. The songs, while played within some authentic, real-world setting of someone’s house, a dance club, etc., are frankly so few and far between that they carry a noticeable weight and significance all their own. All (good) soundtracks should include musical selections that support and communicate the story, and it’s even more impressive that Weekend can do so within its own neorealistic boundaries of when a song can be heard. Song: “William Posters” by Milk. Jamie recounts a story of when he and Russell were kids getting into trouble. He describes Russell as being “stoned out of [his] mind” as they fled from a massive fire (which, presumably, they started). Russell smokes and sits back as Jamie gives us our first real introduction to his past. Jamie & Russell talk about Lois’s (Jamie’s daughter, Russell’s goddaughter) upcoming birthday party. Jamie asks how Russell has been, since he’s been keeping “a low profile recently;” Russell replies that he may be up for a promotion at work, though he looks like he has more to say. Another guest at the party interrupts them and sits between the two, and even takes Russell’s hat to tease him. In the next shot, we cut to silence. Russell has left the party and is saying goodbye to Jamie. Russell goes to a club. He and Glen have their first “encounter” and exchange glances, but Glen walks somewhere else – as we later find out, Russell was his #2 choice for that night. Russell is stuck dancing with the “hobbit,” who pathetically keeps trying to kiss him. There is a laugh-oud-loud moment when during the pop jam thumping overhead, the singer sneers, “We, we like to tear it down.” as a clearly disinterested Russell nurses his beer whilst being fondled by the hobbit. No music is heard for about 30 minutes. During this time, Russell wakes up with Glen in his flat. They are initially a bit awkward, trying to recount the events of last night. Before Glen leaves, though, they exchange numbers. Song: “Bang Bang Cherry” by Hook & The Twin. “Bang Bang Cherry” pairs a slinky guitar riff with a fire alarm-esque keyboard screech. The natural rhythm of the song progresses in a mostly traditional way, interrupted occasionally by the off-putting keyboard sound. Much like the song heard thumping overhead, Russell’s arrival and his exchange with Glen does not quite transpire how we would expect. The alarm also (literally) warns us for some of the fires still to come. Song: “We’re So Light” by Hook & The Twin. “We’re So Light” builds up from a pulsating keyboard line, drum machine, ripping guitar licks, and stacked vocals to build an almost-overwhelming whirlpool of sound. As this song throbs in the background, Russell learns more about Glen’s past from Glen’s roommate Jill. She asks, “Has [Glen] told you about John? […] This is way back when he did boyfriends.” and elaborates on John’s exploits, including cheating regularly on Glen, even getting beaten up after cruising in a public park. The camera remains stagnant on Russell, as the gravity of this bizarre past of the man he thinks he knows weighs him down. He realizes he doesn’t know Glen as well as he thought. This is the only song to appear in Weekend twice. The first time we hear it (as mentioned above) is when Jamie is describing an anecdote from his and Russell’s past – a humorous, but not embarrassing, experience Jamie shares with the other guests at his home. This second instance of this song is a much more private affair. Russell, who logs a diary of sexual encounters, shares this very intimate journal with Glen; we get the impression Russell has never shared this with anyone before. On another (more narrative) note, it is interesting too that the same song is heard twice within roughly 24 hours of this film’s timespan. It is not unlikely that Jamie and Russell, friends since age 12, be fans of the same band, in this case Milk, especially given that this same Milk song played at Jamie’s house one night and at Russell’s the following night. My favorite musical moment in the entire film. Russell and Glen have just had a major argument, spanning marriage as an institution to owning pets to the elephant in the room: what their relationship is now, and what it will be. Russell, upset, steps away to the restroom. While he’s in there, Glen plays “TC and Honeybear” – Russell hears it muffled, coming from the living room. As he enters the living room, we hear: “Then one night, he looked up and he saw, he saw his one and only.” And he joins Glen at the window, as they look out into the night. One could certainly connect the lyrics of “TC and Honeybear” to Weekend as an essay all on its own. I view “Honeybear” as Russell – a quiet, reserved man lacking confidence, while “TC” represents Glen – a catalyst, someone to bring him out of his shell. The song slows down with a ritardando and picks back up with a lovely instrumental interlude with flute. Russell grabs Glen’s hand. Russell returns, alone, from the train station. He stands in the balcony and opens the package Glen gave him. The gloomy piano riff of “Marz” begins. The lyrics tell of longing, optimism, waiting for something better. This musical moment is particularly striking because of how different it is from all others that preceded it – this is the first and only “out-of-body” piece of the soundtrack. All other songs heard in the film take place within the strict context of the story – played in a club, in Russell’s apartment, at Jamie’s house. We are the only people to hear this song, and it isn’t playing really anywhere (in the Weekend universe, at least). This is also the first and only song heard when Russell is really alone. Every other piece heard in the film is in some situation where Russell is with others, and even the way the scenes play out illustrate Russell’s character relative to those around him. We know he’s shy from how he lets Jamie speak on their behalf and tell his childhood story, during “William Posters.” We chuckle at the irony of his encounter with the pathetic hobbit in the club as “We like to tear it down” echoes overhead. We observe the tenderness between him and Glen as “TC and Honeybear” hums in his living room. But in “Marz,” we get Russell – just Russell. So why does this matter? Looking at Weekend as Russell’s story, of him coming to terms with himself and his identity, the musical moments are another element building up to his self-acceptance, and us finally getting into Russell’s head. The film maintains multi-sensory levels of separation between Russell and the world around him – through its wide shots, of Russell as one small piece of a broader ecosystem, to its neorealistic musical soundtrack design, creating a confounding disconnect between action and emotion. We break both of these barriers in this “Marz” sequence. We get close-ups of Russell, just Russell, alone in his apartment. We hear the song directly, not through an incidental, secondary channel like a radio or DJ, but as the sole audio track heard. The impact is so strong, it feels like the fourth wall has been broken – a surprising push from a mostly subdued neorealistic drama. This finale is a moment of purity, an unclouded look at Russell. It offers a chance for introspection, not only for Russell, but possibly even ourselves. A weekend is a short amount of time, and a 97-minute movie is even shorter. It is truly a testament to filmmaking, and the emotional impact of music, of how much can change in so short a time.